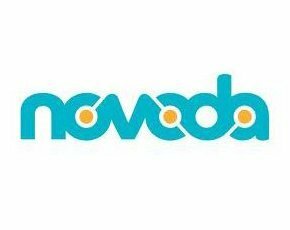 Novoda is a service-based startup Android consultancy company which operates out of two offices in London and Berlin. The company develops Android software for companies that wish to have an application on the Google Play Store. The company has worked with Sony and Motorola in the past, and recently worked on the software driving Tesco’s new Hudl tablet. Because the company only offers Android expertise, CEO Kevin McDonagh believes it can deliver software quality “on a level which would be impossible to do with diversification”. Novoda’s team of developers offers to build companies' applications on a service-based agreement. Depending on the product, companies may wish to have their app tightly integrated with internal B2B products which Novoda can provide, while other customers need to integrate their applications with a mixture of both public and private application programming interfaces (APIs) for their internal systems. All of Novoda’s customers come through referrals from the team’s experience in the hacker community. The first companies Novoda targeted were VC-funded tech firms that were early investors in Android, such as Meetup and Podio. Novoda recently delivered the flagship software for Tesco’s new tablet Hudl, including the groceries app and the system's main launcher. In Germany and France, Novoda recently delivered an interactive TV guide for arts channel Arte, enabling users to view live and archived programming. Other clients include fast-growth VC-funded tech companies in London and Berlin. Novoda's two founders, Carl-Gustaff Harroch and Kevin McDonagh, met during an Android competition run by Google. The company was self-funded and launched in 2008. “We never really explored the opportunities of Accelerator programmes and investors for Novoda as they are notoriously not fond of service-based companies,” said McDonagh. “Initially it was super tough building our own business network, but it is satisfying to retain full control of the company years later."